Here's a bird I've never seen, and might not be likely to see, as it lives mostly south of where I am. 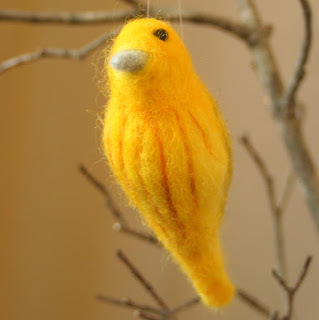 But his yellows are so vibrant that I knew he had to be the next I felted. The warblers are such a cool family; they are tiny and so many different colors!